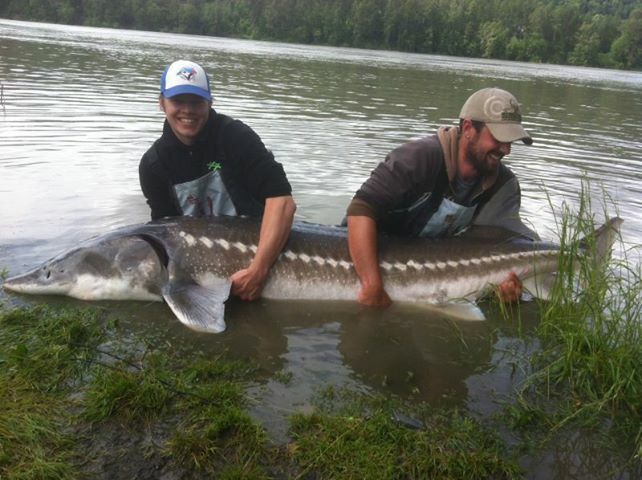 Fishing the past week has been fair to good, sturgeon fishing has slowed a bit but we are still getting some nice fish in the Mission area and out of our Delta Hotel Location. Eulichon has been our best bait but still getting some nice fish from Lamprey and a few on salmon eggs. 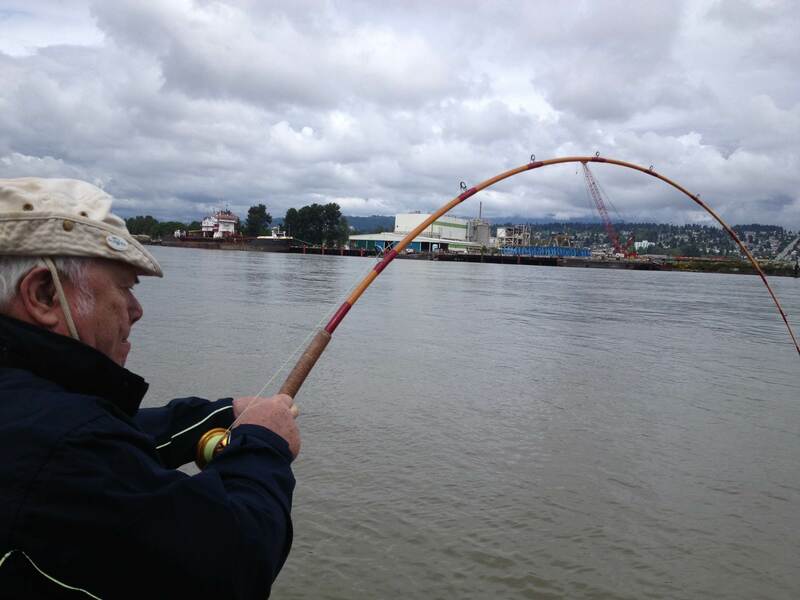 Yesterday we fished the lower river near New Westminster with some good results, Our guest from Ontario managed to land 5 fish in just a few hours. Although our numbers have been down this past week our average size has been very good with 2 fish over 8ft and several over 7ft landed this week. As we proceed into June it will be much the same and fishing will highly depend on water conditions. We have boats moored at Mission Marina and ready to go out on short notice so please give us a call if you are looking for a last minute trip. Salmon fishing was fair to good this past week, Rob landed this nice 25lb Chinook a few days ago and Thomas and his brothers put a few in the boat as well. 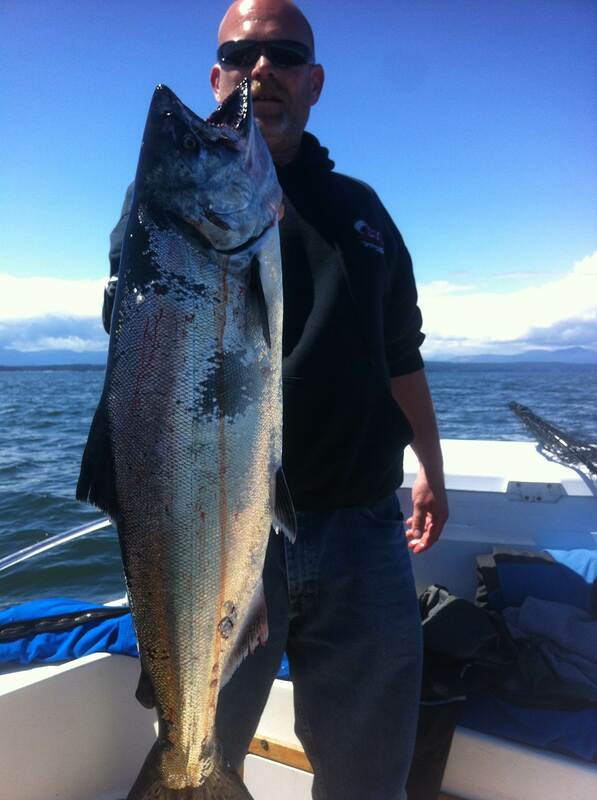 Our daily Vancouver charters for salmon will continue until the Fraser opens in Middle of July but I would suggest that saltwater salmon fishing will be the better choice until early August then we will begin offering salmon charters on the Fraser and tributary rivers. 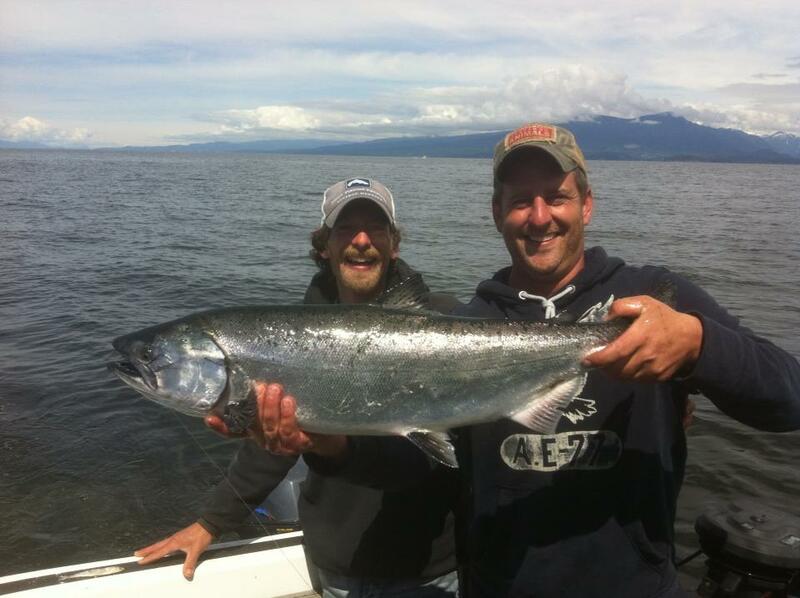 Oliver and Thomas Rutschman out fishing the Vancouver area last week, breaking in the new ride. Trout fishing was a bit slow this past week but we still managed to get some nice fish. We are still about 2 weeks early but nows the time to book if you are wanting to fish the Pitt River with us again this season. This river is technical and can create havoc in only a few second so be sure you are not just hiring the cheapest priced guide. 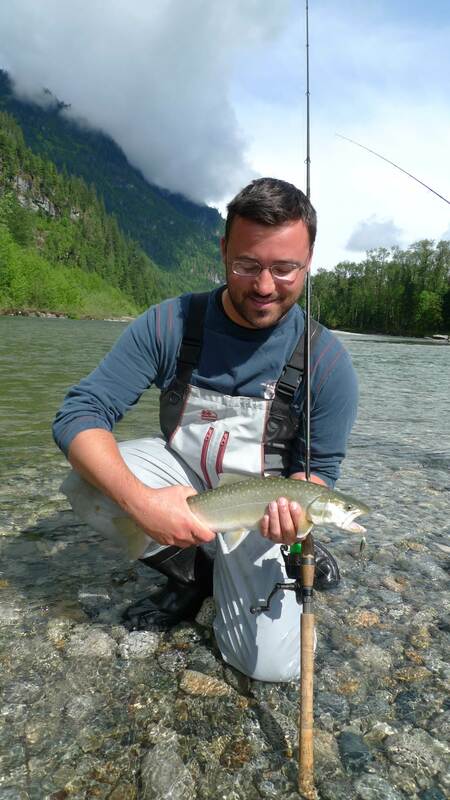 By early indications we are expecting a great run of sea-run Bull trout and if it is anything like last year the salmon fishing will be excellent as well. Beautiful day on the Pitt fishing for Bull Trout and Cutthroat trout. 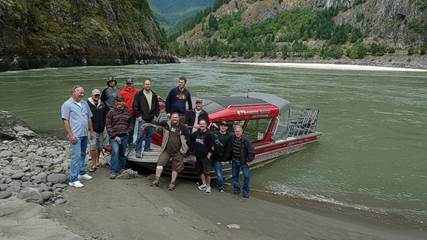 Due to high water we will not be offering any Fraser Canyon tours in the month of June, our next available Tour is July 27 & 28, 9am and 1:30 pm each day, You can e-mail us for dates in August and September. Cost is $129 per person. 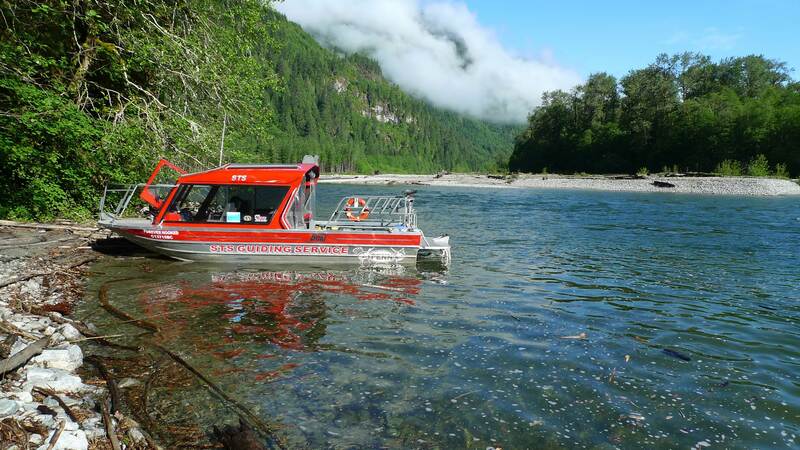 2 hour Harrison River tours are offered daily at 11 am and 1pm, these are calm water jet boat tours from Harrison Hotel to Fraser Confluence, cost is $69 per person, we are also offering private tours from Mission, Richmond and Hope. Please call us for more detailed information. If your looking for on the river reports, join our facebook page as we update you daily from the water.